Contract Design Associates has been appointed an authorized Herman Miller dealer serving 10 counties in Western Montana. They have opened a sales office and showroom in Missoula, Montana. Contract Design Associates serves the commercial, healthcare, government, and educational sectors in Eastern WA, Northern ID, and Western MT. Contract Design Associates was founded in 1980 by Bruce and Jill Butterworth and currently employs 17 people in both locations. The Spokane showroom is at 402 E. Sprague Avenue. The phone number is 509-624-4220, and the website is www.cdainteriors.com. Spokane has the rare opportunity to meet and hear from the man who is considered the 'Godfather of Mobile Media', Dave Liniado, on Wednesday June 20th from 4:30 to 6 pm at Bluz at the Bend, 2721 N Market Street. Complimentary appetizers and beverages will be provided. Dave is the CEO of iZigg Mobile Marketing, the leading mobile media company in America. Over 7 years ago, Dave demonstrated and proved the viability of businesses connecting with consumers on the one device they have with them 24/7; their mobile phones. He is now one of the most experienced and sought after visionaries in the exploding industries of mobile and social media. His last company went public (NASDQ: STAD) and Dave retired in his twenties...but here he is, at it again. This is a no cost event. However, due to high demand and limited seating, registration to receive an E-Ticket allowing entry into the event is required. To request your E-Ticket, visit bit.ly/M2vA5y. For more info, contact one of the local hosts. Wes Ward at 509-217-0076; John Bogensberger at 509-475-1369; Margie Basaraba at 509-979-4927 or Marty Hogberg at 509-990-9399. The Ronald McDonald House celebrates 25 years! Their mission is to serve and support families in medical crisis, and to support children's health. They believe that healing happens as a family, and try to provide a home away from home so that that can happen. In addition to the house in Spokane, RMHC supports 2 family rooms in Sacred Heart Medical Center, one that is open to all families of pediatric patients and one that is specifically for pediatric oncology. These rooms provide a place for families to relax, have a snack, do laundry and unwind. One of the rooms also has 4 overnight rooms. They also support a Mobile Care Unit in Central Washington, which allows over 2,000 children each year to receive basic medical and dental care. 100% of funding for RMHC comes from the Inland Northwest, and 100% of the donations stay here to help families in our region. The Cobra Polo Classic, which is their largest fundraiser, is also the largest Charity Polo Event in the US. It will be held this year on September 9. The website is rmhcspokane.org. 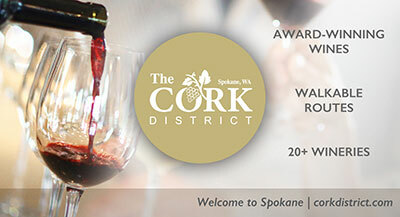 Spokane's largest summer wine event, Vintage Spokane: A Food and Wine Affair, comes to Northern Quest Resort & Casino this Sunday, June 24 from 3 to 6pm. Over 60 Washington wineries will pour delicious wines and gourmet bites will be provided by Masselow's Restaurant. 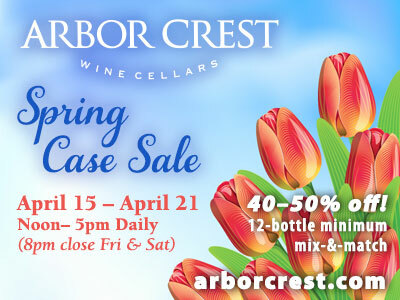 For tickets and information, including a list of participating wineries, visit vintagespokane.com. U.S. Linen & Uniform, which has offices in Spokane, has received statewide recognition for its environmental leadership by winning the Association of Washington Businesses 2012 Environmental Excellence Award at a ceremony at the Davenport Hotel on June 12th. The linen and uniform rental company was honored for Environmental Excellence in Resource Conservation for saving over 10 million gallons of water last year and for reducing the waste discharged to the City of Richland by 95%. The AWB's Environmental Excellence Awards Program is a showcase for companies who successfully implemented programs that demonstrate initiative in the area of environmental protection. In its 20th year, the program focuses on actions that create a better environment, products that help environmental quality, and actions to prevent or reduce environmental problems as well as conserve resources. U.S. Linen & Uniform installed a ceramic microfiltration and reverse osmosis waste water system that reduced water usage 50%, gas usage 25%, and waste discharged by 95%. In May, U.S. Linen & Uniform was one of the first 8 companies in the industry to receive TRSA Clean Green Certifications which recognizes linen and uniform rental companies that demonstrate responsible leadership in sustainability and conservation to protect the environment. U.S. Linen's Spokane location is at 3012 N. Sullivan Rd, the phone number is 509-624-0808 and the website is uslinen.com. Safeco Insurance has named Fidelity Associates to the company's elite agency recognition program, the H.K. Dent Society. "The H.K. Dent Society acknowledges the superior performance, loyalty and partnership of Safeco's top-performing agents," said John Mileski, senior vice president and manager for Safeco distribution. "The recognition program also provides valuable tools and resources to help this group of elite agencies better serve their customers." "Our agency has worked hard to serve our customers and community," said Scott Jones, CEO of Fidelity Associates. "It's an honor to be recognized by Safeco as one of its top agent partners." Fewer than 10% of Safeco agents received this distinguished honor in 2012. Agents in the H.K. Dent Society must qualify annually based on past performance. Offering personal and business insurance in Spokane since 1906, Fidelity Associates has grown to become one of the largest independently owned insurance agencies in the northwest. Fidelity Associates offers comprehensive business and personal products and services including property, casualty and health insurance, employee benefits, and financial planning. The website is fidelityins.com. Local and regional baristas competed in latte art last month at Thursday Night Throwdown (TNT), an event that has gained national recognition from Barista Magazine on their Twitter handle, #TNTINW, as well as local and regional media attention. TNT hit Spokane in April at Indaba Coffee, drawing a larger crowd than Seattle's first TNT in July 2011. Thursday Night Throwdown is a community event bringing baristas and coffee professionals together to build awareness for their craft. Starting as a low-key event where baristas demonstrated what they are doing in their individual cafes, TNT has snowballed into a national following, now occurring in multiple cities. The third installment of TNT will be held at DOMA Coffee Roasting Company's headquarters in Post Falls, Idaho June 21 at 6 pm. This month's competition will include latte art, as well as a USBC Brewer's Cup manual brewing competition. TNTINW was started by Aaron Monheim and Bobby Enslow of Indaba Coffee in West Central Spokane. They took the idea of TNT and put their own slant on it, trying to incorporate a new level of camaraderie and sharing of ideas amongst baristas, which is at the core ethos of their company. Baratza, Equator Coffees and Teas, DOMA Coffee Roasting Company, Victrola Coffee, Evan's Brothers Coffee and Toby's Estate have also helped contribute to TNT, making it possible to have the event through sponsorships. Indaba is located at 1425 W. Broadway in Spokane. For more information about this event, please contact Aaron Monheim, Director of Coffee Education at Indaba Coffee at aaron@indabacoffee.com or 509-713-5515. Get Slimed! Fly an airplane! Launch a catapult! Discover while you play. Mobius Summer Camps are scheduled each week from June 25 - August 24. For more information on dates, classes and to register, go to www.mobiusspokane.org or call 509-443-5669 for Mobius Science Center camps (ages 8 and up) or 509-624-KIDS for Mobius Kids camps (2-8 years old). Richard Bech and Kirk Hirota are teaching a 4-hour photography workshop called Location Portraits 101 at Manito Park on June 23rd. Dynamic class, experienced instructors, beautiful location. The class will be geared toward beginner and intermediate photographers. Grab your camera and come shoot. Register at www.f6four.com. (Clock hours available for teachers). Sleep Country opened a new Spokane store at 4402 N. Division St., the 4th store to open in the region in the last year. The expansion provides a new location for sleepy Spokane shoppers to find quality sleep products at the best price - guaranteed - and offers a new location for community members to drop off donations for its award-winning Foster Kids Program. Currently Sleep Country is collecting new clothing items for area foster children through July 22. The Division St. store hours are Mon-Fri 10-9, Sat 10-8 and Sun 10-7. The phone number is 509-489-4063. The Spokane Area Workforce Development Council (SAWDC) will become a stand-alone nonprofit organization, separating from its 38-year relationship with the City of Spokane, and it will establish a new partnership with Community Colleges of Spokane (CCS) to streamline management and increase efficiency. In addition, the SAWDC will work closely with the Spokane County Board of Commissioners to enhance its service delivery footprint throughout the county. The move is not unprecedented, said SAWDC Executive Director Mark Mattke. Of the 12 workforce development councils in Washington, nine are already nonprofit organizations. Additionally, the majority of workforce boards in the nation operate as nonprofit organizations. The Spokane Area Workforce Development Council leads a demand-driven workforce system in Spokane County. For more information, visit www.wdcspokane.com. LaunchPad is holding a Live Event featuring Health Sciences Innovation with Q and A, then networking mixer afterwards, Thursday, June 21st 5:30-7pm at the WSU Riverpoint Campus, Nursing Building (Room 205) The event will focus on developments regarding the new Medical School with interviews with experts from WSU Spokane Campus including: Dr. Brian Pitcher, Chancellor; Dr. Patricia Butterfield, Dean of the College of Nursing; Dr. Ken Roberts, Directory, WWAMI, Program in Basic Medical Education, and Barbara Chamberlain, Director of Communications. Cost is $10 with credit cards accepted at door. Free to Launchpad Paid Members and College Students with valid ID. If you are a non-member of LaunchPad and want to attend, RSVP at zan@launchpadinw.com. "You know what you have to do. Just go do it."